Reading Maeve Brennan is like watching a master jeweler construct a ticking watch from an array of tiny, inanimate parts. -Linda Barrett Osborne, New York Times Book ReviewSo good that I kept putting the book down to savor a description or perfect phrase, to hug myself with malicious joy, and to put off the evil hour when the stories would be done. -Katherine A. Powers, Boston Sunday GlobeWhen The Springs of Affection was published in 1997, the poet Eamon Grennan called it a classic, a book that placed Maeve Brennan among the best Irish short-story writers since Joyce. 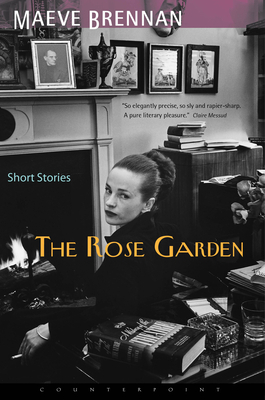 The Rose Garden gathers the rest of her short fiction, some of it set in her native Dublin but most of it in and around her adopted Manhattan. The riches here are many, but the collection's centerpiece is a suite of satirical scenes from suburban life, stories a little meaner than Cheever's, and wittier than Updike's (Los Angeles Times Book Review).